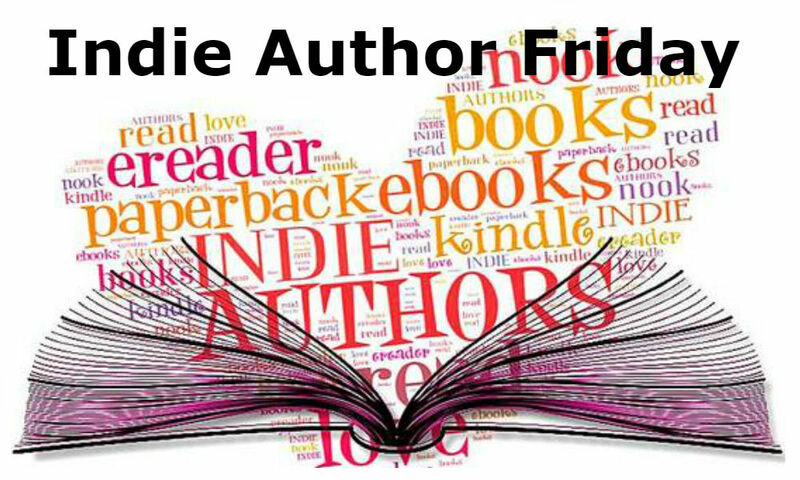 Welcome Lyz Russo to Indie Author Friday! I think every writer can relate to Lyz’s answer about the most constructive criticism she’s received – it’s all about setting aside the ego and working on your craft. And another mouth-watering cookie answer that has me craving a chocolate chip dessert! 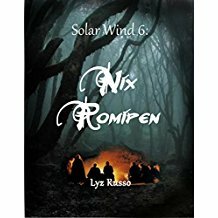 When Paean, a teen musician, boards the ‘Solar Wind’ with her brothers, all she wants is to escape from those monstrous forces hunting for them. But she is out of luck, because the Solar Wind is a pirate ship. 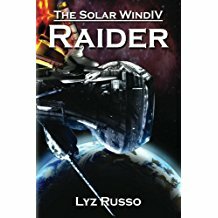 Suddenly all the rules have changed, and she must find her way in this quicksand to figure out whom to trust, what to keep secret, and how to help the high-tech ship evade the law. “Remember who you are!” Two data capsules tell an evil story. Both the Unicate and the Rebellion want those capsules – but they are in the possession of Radomir Lascek of the Solar Wind. 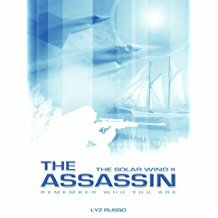 Hunted by both these forces, Lascek scrambles to keep his Solar Wind alive. But things explode in his face, and he is forced to move. Shattered, Lascek launches his own Master Plan – too early. Alien Touchdown! If the crew of the Solar Wind thought the Unicate and the Rebellion were tough cookies, they haven’t yet met the Danaan – from Planet New Dome. Coming to take over Earth – or destroy the planet. Or alternatively, for a mango daiquiri in the subtropical paradise of Southern Free. And then destroy the planet. “Actually, interesting fact of bygone eras,” said Federi, “in prior centuries pirates chose their captains democratically.” Radomir Lascek is in trouble. 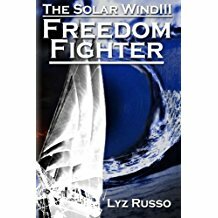 Of all the forces that are trying to take the Solar Wind out of his hands, Federi is still the most benign… At the end of a space trip there may be a treasure, or there may not. Is it worth risking the crew’s lives? A glossary of foreign expressions to supplement the Solar Wind and Shooting Star series. 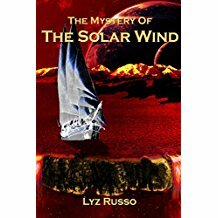 A motley collection of short stories by Lyz Russo. These stories are sometimes the result of dreams or the outcome of observing something odd. Some are funny, some are not. Enjoy! 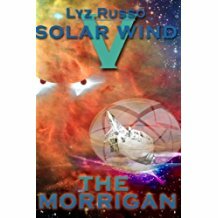 When I had the first book of the “Solar Wind” series ready, as I believed, we started looking for agents. One agent was very interested and let his friend, the son of a Science Fiction writer, proof-read my submission of 60 pages. This reader tore the story apart; I’ve never seen anything like it. He criticized everything – from the omniscient 3rd person narrator perspective, to the drifting POV, to the names of the characters and the name of the ship. I learned such a lot from his crit! But I may have despaired or thought he was simply being mean if he hadn’t headed off his letter with two words: “Can write.” It was what I needed to hear from a stranger. I ended up completely rewriting most of the story. If I read the original now, I have to smile at what I thought was a manuscript ready for publishing. 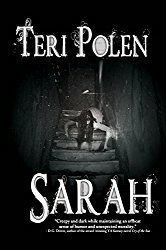 What are your favorite books in your genre? Anne McCaffrey: The Pern series. Another collection by her that inspired me a lot is “The Ship Who Sang”. Outside Science Fiction I love reading Fantasy. Terry Pratchett and Charles de Lint must be my favourites, and of course Tolkien. Of the newer series I love the Skullduggery books. Sometimes, rarely, I get into a mood and read a romance… I have found these a good escape from life. 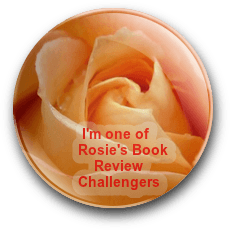 I seek out bloggers who review books, and ask whether they would like to review. I also seek out review sites, such as “Readers’ Favourite”, where books are reviewed reciprocally. There is Goodreads; and there are reviewers who advertise on Facebook. I have also had books reviewed that I submitted to local newspapers. They are often looking for material to write about. I did find that friends and family wrote reviews spontaneously. This is appreciated immensely. I have read that one should not pay a reviewer, because it will influence the review. I’m not entirely sure if I buy into that mindset; but so far my books have only been reviewed by people who did not charge. It is a labour of love, and I do offer, when I can, to reciprocate in some way – promoting their blog, or proofreading their manuscripts (sometimes the reviewers are authors themselves), or something. One needs to understand that every unpaid review is a favour. The world does not owe any author favours. If a review has a bit of pepper in it, one needs to take that with a smile, too. It improves one’s writing by making one more aware. Choc chip, the way the Seattle Coffee Company makes them. Why? The Seattle Coffee Company is linked (here in SA) to our largest book chain, Exclusive Books. They create a little nook where you can sit on a couch, drink your (recently discovered) butterscotch latte, dunk your Choc Chip cookie (“slam dunk” they call it, so of course you dunk it) and dig into the book you have just bought, leaving half your salary in the tills of Exclusive Books (you addict). Maybe one day I’ll find a way to generate that amount of comfort zone around an ebook, I seriously hope so. I would have said, Nutty Crunch, but that’s clichéd. I guess at this point I’d be All Bran Flakes – a bit boring, healthy, providing you with energy, sweet (I add a lot of sugar) and keeping people moving. I have to be practical. But if there were a cereal with chilli pepper in it, actually, that would be me, because I currently have quite a bite and am making things a bit hell-hot for people who want a piece of me. I would pick Vlad – one of my own characters, who is a shape-shifting teleporting alien with the powers of changing the molecular structure of things and of living beings. If it must be from fiction excluding my own, I’d choose to be Gandalf the Grey (he becomes just a little too holy when he turns into Gandalf the White). 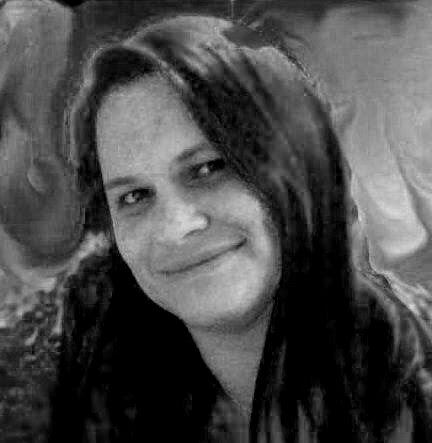 Lyz Russo, writer, musician and small-enterprise book publisher. For our bread and butter I run a music studio in Pretoria, teaching people violin. My husband was teaching guitar and theory in our studio. Our three teenagers have always been very involved in everything we do, especially as I home-schooled them for 5 years when they were little. 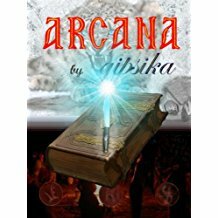 I started writing stories when I was 11 and self-published my first book online in 2008. The paperback launch was in 2009, together with the launch of our small publishing co, P’kaboo. 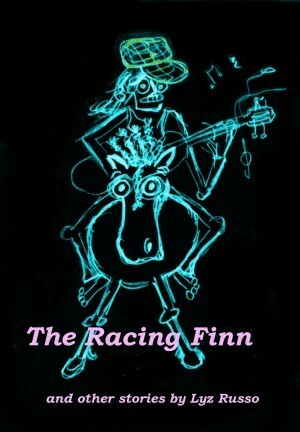 This is the official blog for all our books, my own and our other authors’. It has been a bit inactive as our publisher has been temporarily dormant; however, please find more information at our associated agency’s blog, Bookseeker Agency. Here I detail my writing & indie publishing journey. I do also have a more general WordPress blog which is currently active, but has only been dealing with my husband’s death in recent months. Vlad sounds so cool! I can see why you picked him. Great interview. Sorry so late replying – first day back from vacation – and you’re absolutely welcome, Lyz! Hi Teri. Nice to meet Lyz. Her book sounds delightfully complicated. Glad she didn’t let that first critic keep her down. Hugs. Just keep swimming, right Teagan? Hugs!